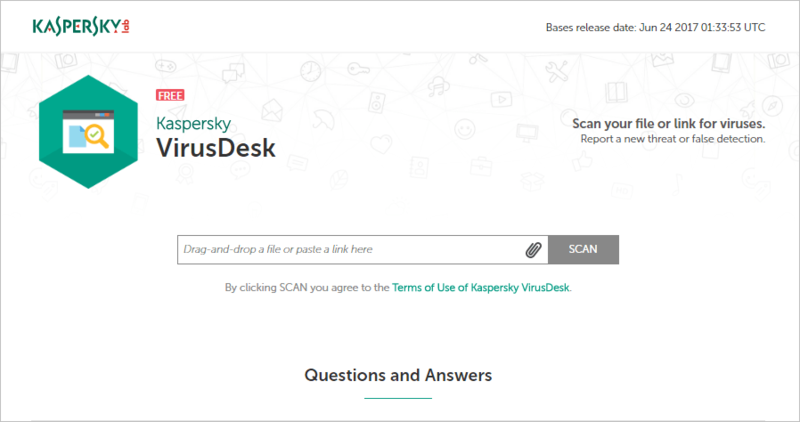 The Kaspersky VirusDesk virus scanner allows you to scan files and links for viruses, as well as report false positives and new threats. If you suspect a false positive, check the file or the website using Kaspersky VirusDesk. If necessary, send the file to the Antivirus Lab for further analysis. Kaspersky VirusDesk is a free service by Russian security firm Kaspersky that enables you to scan files or links for viruses and other threats.